Attitudes have a kind of inertia. Once set in motion, they will keep going, even in the face of the evidence. To change an attitude requires a considerable amount of work and suffering. The process must begin either in an effortfully maintained posture of constant self-doubt and criticism or else in a painful acknowledgment that what we thought was right all along may not be right after all. Then it proceeds into a state of confusion. This state is quite uncomfortable; we no longer seem to know what is right or wrong or which way to go. But it is a state of openness and therefore of learning and growing. It is only from the quicksand of confusion that we are able to leap to the new and better vision. 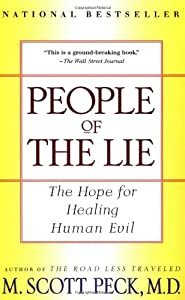 M. Scott Peck, M.D., People of the Lie, The Hope for Healing Human Evil, p. 240.